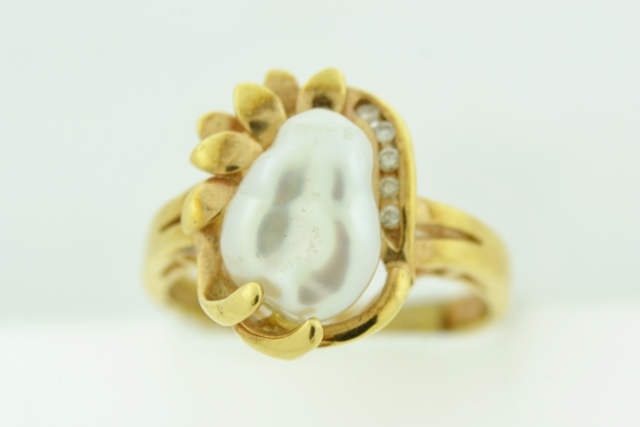 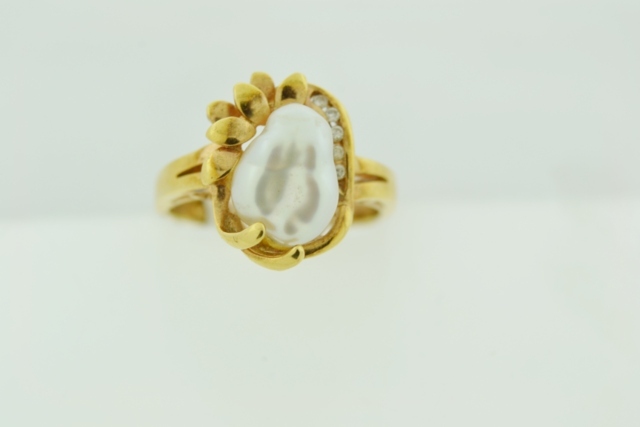 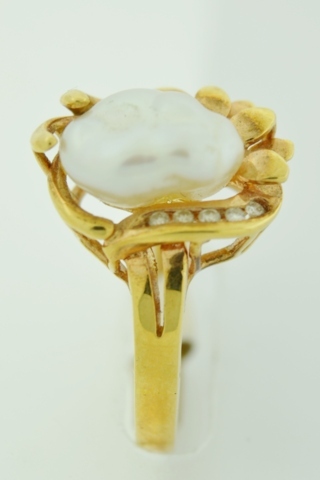 Beautiful handmade ring with natural biwa pearl in center with very good luster and nacre, AAA grade. 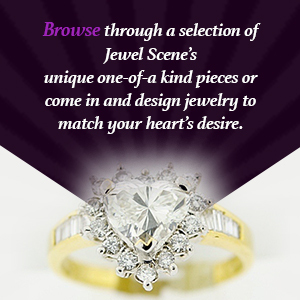 There are 5 round channel set diamonds, totaling .07 carat. 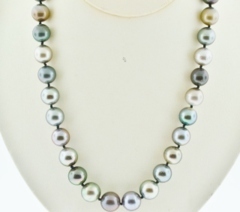 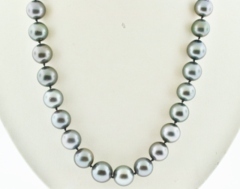 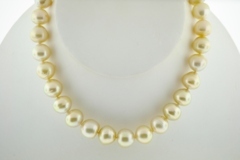 Tahitian Pearl Necklace Grade B/B+, 18in.